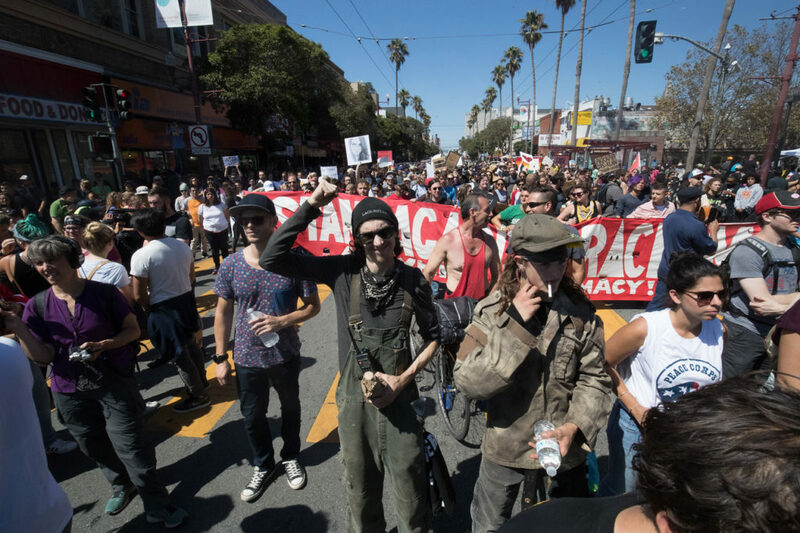 This dramatic moment marked a historic coming together of mainstream San Francisco Bay Area leftists and these combative protesters known as antifa. 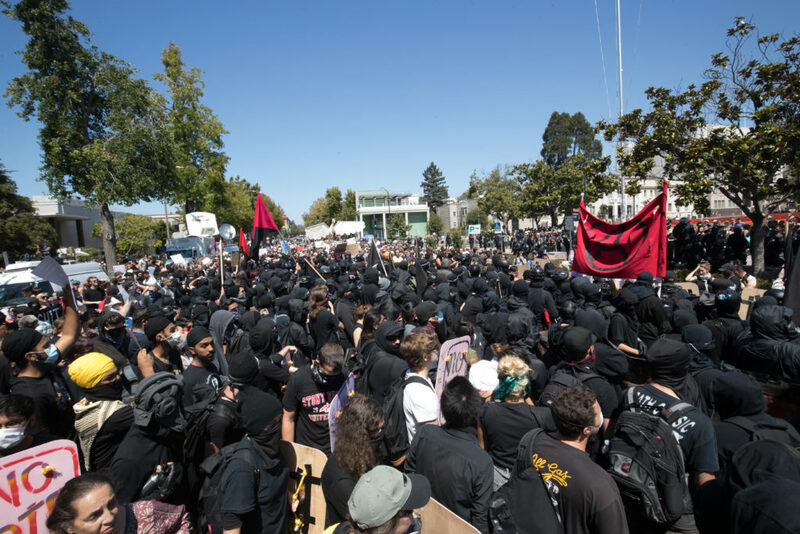 Spurred by the deadly events at a racist rally in Charlottesville, Virginia, two weeks earlier, leaders of the anti-hate march invited local antifa to form a “black bloc” – moving in formation, wearing black – to protect their Aug. 27 march on a planned right-wing rally in downtown Berkeley, California. These radical strategies have played right into the alt-right’s plan – and led to a backlash. 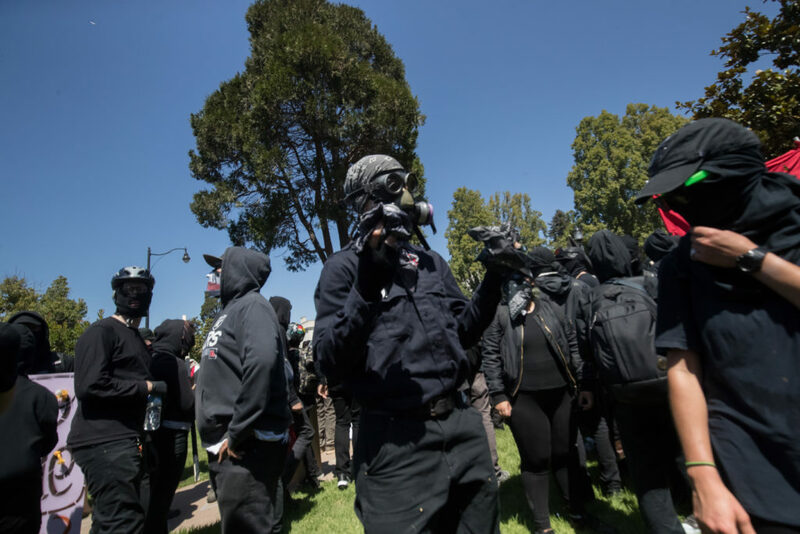 The months of reporting we have done on the Bay Area antifa suggest that there is no easy way to categorize the group. 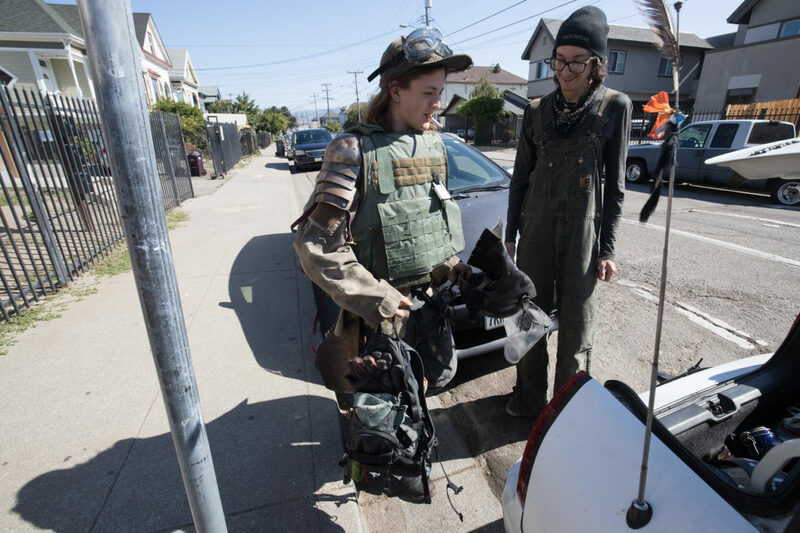 Some antifa activists are frustrated twentysomethings who enjoy dressing up in quasi-military gear and speaking grandly of defending their communities from invading fascists during rallies, but generally shy away from physical violence. On Aug. 26, however, the two never put on their protective gear. The right-wing rally planned for San Francisco’s Crissy Field was canceled, and the counterprotest there soon turned into a rally that was more carnival than confrontation. 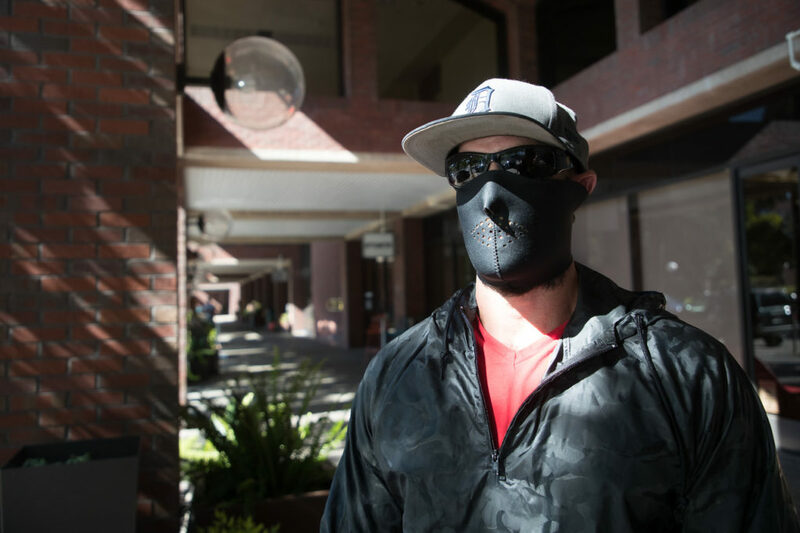 Cookenboo’s helmet, emblazoned with one word – “antifa” – stayed in the trunk of his car. 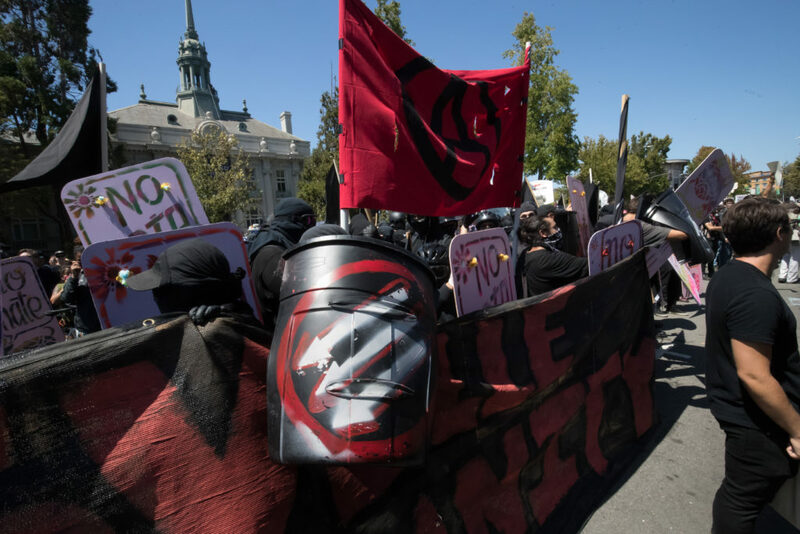 Members of the anti-fascist movement, also known as the antifa, form a “black bloc” – moving in formation, wearing black – to protect the Aug. 27 march on a planned right-wing rally in downtown Berkeley, Calif. 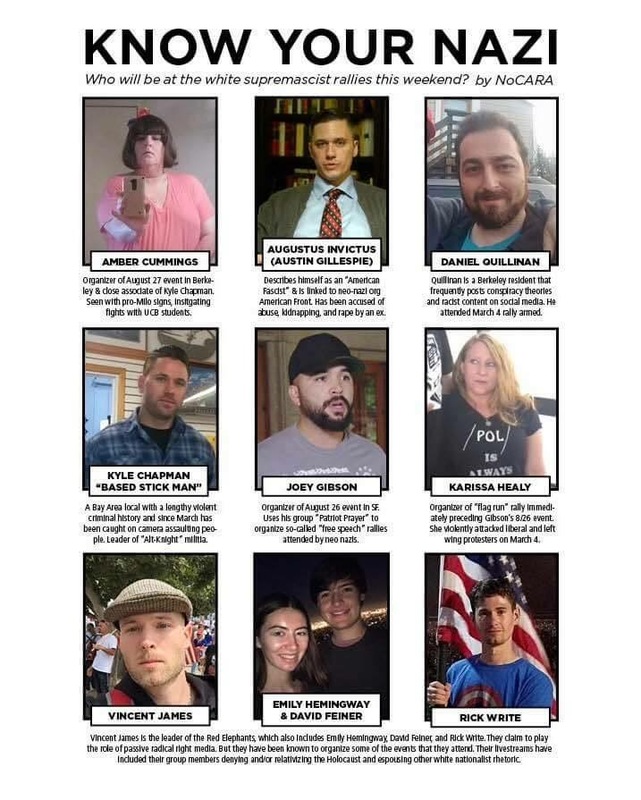 Activists within the antifa quickly assembled their hit list, which they included in an eight-page handout titled, “The Alt-Who? 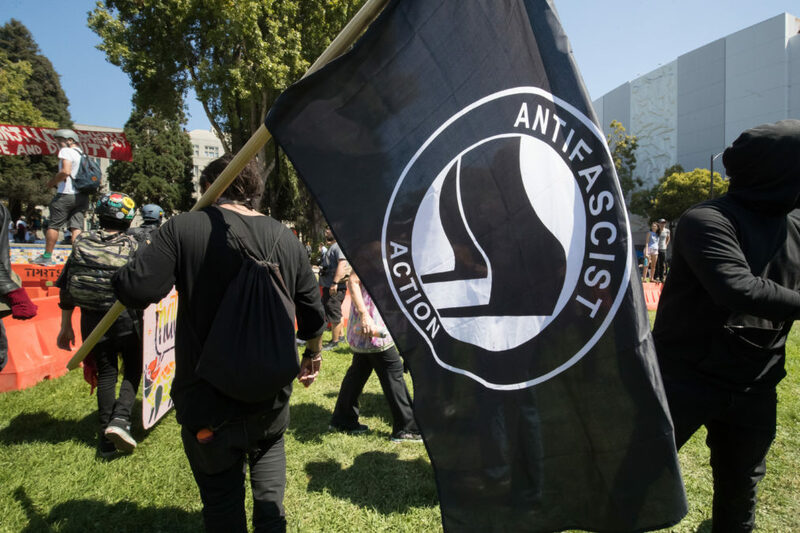 Violent Far Right & Fascist Individuals Coming to the Bay Area – April 15.” This list was supplemented by a one-page document forwarded online a few days before the August protests titled, “Know Your Nazi,” which included organizers of the conservative Bay Area protests. 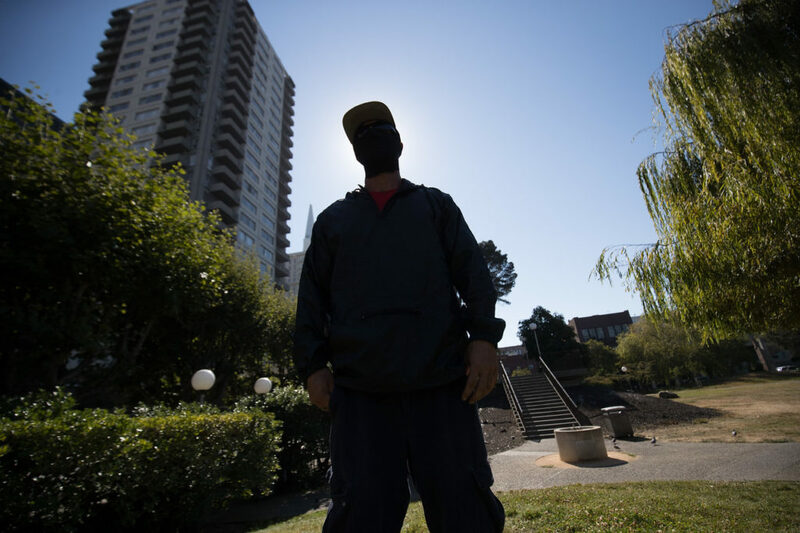 Gibson portrays himself as a nonviolent, nonracist victim but he is among the top targets of the Bay Area antifa – and was the central face on the “Know Your Nazi” flier. Instead, about 20 minutes after the Berkeley Police Department stood down and allowed protesters into the Martin Luther King Jr. Civic Center Park, Gibson made a beeline for the most angry antifa. Flanked by a couple of supporters, including Tusitala “Tiny” Toese – decked out in football pads and goggles – Gibson strode into the black-clad crowd, waving his arms and making peace signs with his fingers. When I first talked with Dominic, antifa as a concept was in the early stages of its rebirth – at least to the general public. Trump had yet to decry the movement. News outlets struggled with how to define this new movement that wasn’t quite an organization and seemingly had no leaders. Reveal intern Kate Talerico contributed to this story. It was edited by Amy Pyle and copy edited by Nadia Wynter and Nikki Frick.